Round 4: The Gauntlet saw challenging conditions due to the inclement weather. The varying dry and wet conditions on the track through the event created an additional element that the drivers had to overcome in order to advance through the rounds of competition. The action was competitive with many close battles. 300,000 fans tuned in through the event weekend on the Driftstream. 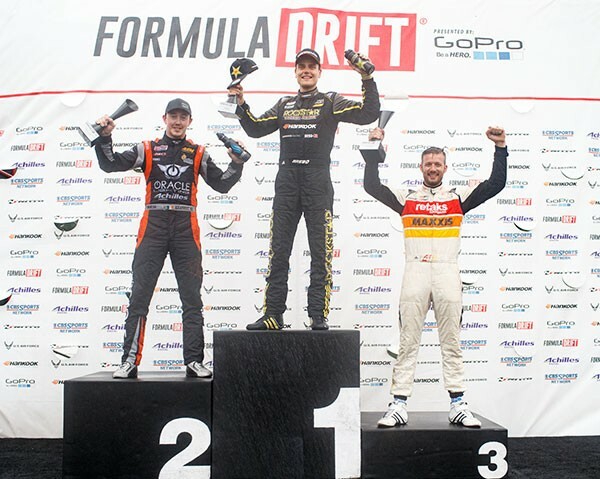 Long Beach, Calif. – June 22, 2013 – Formula DRIFT presented by GoPro returned to Wall Speedway in New Jersey for Round 4: The Gauntlet. 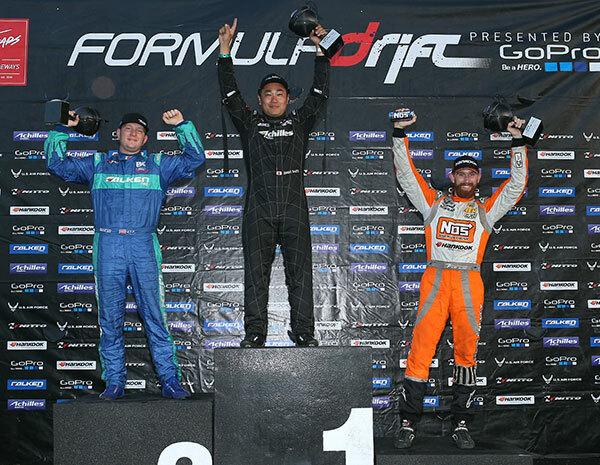 Daigo Saito the driver of the Achilles / Bridges Racing Lexus SC430 increases his Championship point lead with his second victory of the season. For the second year in a row, Round 4: The Gauntlet showcased action in front of a sold out crowd in New Jersey. This event marks the half-way mark for the season with the championship in the sights of a few of the top drivers. The new course configuration at Wall Speedway proved to be challenging and exciting for the drivers. A few of the top teams were taken out early in the competition opening the door for others to move ahead in the event. 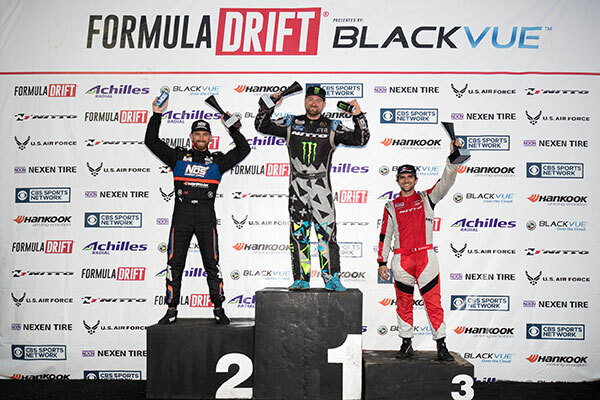 In the consolation round with Chris Forsberg in the NOS Energy Drink / Hankook Nissan 370Z against Darren McNamara in the Falken Tire Nissan 240SX the action heated up when McNamara had a mistake that gave Forsberg the third place finish. 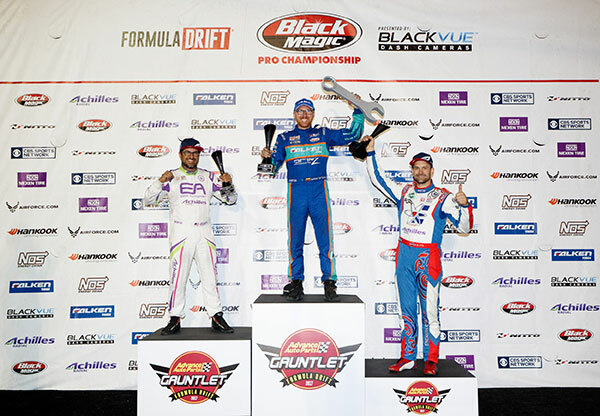 The final battle pitted the number one qualifier Justin Pawlak in the Falken Ford Mustang against champion Daigo Saito. Pawlak on his chase run went a little too hard and spun out giving the victory and increasing the Championship point lead to Daigo Saito. 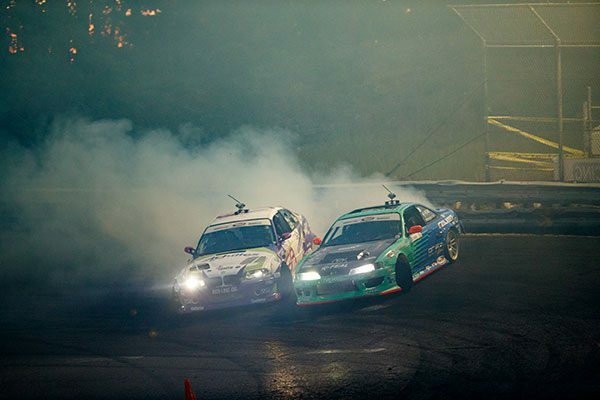 Formula DRIFT continues to Round 5: Throwdown at Evergreen Speedway in Monroe, WA on July 19-20, 2013.